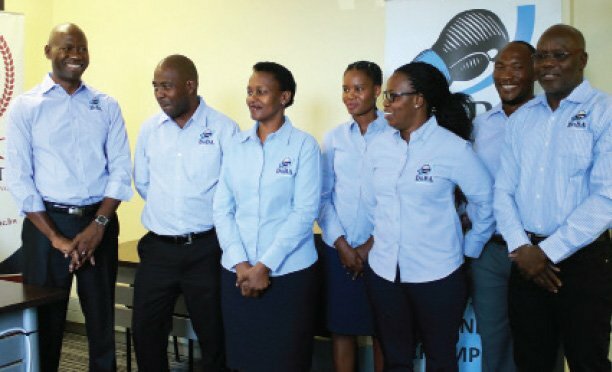 The case in which suspended premier league CEO Bennett Mamelodi is challenging Botswana Premier League Chairman Rapula Okaile’s authority to suspend and call him for a disciplinary hearing got off to a false start for the Botswana Football Association (BFA) and the BPL when both parties were accused of lying to the court under oath. The case that began on Monday at the Industrial Court was thus adjourned and will now be heard again on August 23 to allow lawyers representing the two football bodies to come back with authentic authority to the court, where they seek to show that they indeed have powers to take any form of disciplinary action against the CEO. Mamelodi’s lawyer Dutch Leburu poked holes in the affidavits deposed by the Okaile team, saying they contained fraudulent information that cannot be accepted as the truth in the case before Justice Paper Molomo. In the urgent application that sought to interdict Okaile’s move to call the CEO for a disciplinary hearing, Leburu’s camp argued that the acting BPL Board chairman on his own had no authority to discipline Mamelodi. In his answering affidavit, Okaile argued that he indeed had the powers as he had been delegated such by the BFA president Tebogo Sebego. When the CEO’s camp responded that Sebego on his own also had no such powers to authorize, Okaile argued back in his second affidavit that the powers were indeed delegated by the BFA National Executive Committee that gave Sebego authority to endorse his decision to discipline Mamelodi. To this end, Leburu sought to be provided with the minutes of the BFA NEC meeting where Sebego was given such authority to endorse Okaile’s action against Mamelodi. It was then that Okaile’s lawyer Mpho Gaobakwe conceded that no such meeting was ever held and that the minutes were therefore unavailable. Leburu then brought the attention of the court to the fact that Sebego had appended his signature on the Delegation of Authority document that implied that he had been authorized by the BFA NEC to allow the case against Mamelodi to continue. This, Leburu argued, was a deliberate act of fraud meant to mislead the court, and therefore called for attendant legal action to be taken against both Okaile and Sebego. However, that demand by Leburu was thwarted when Okaile’s camp requested leave to withdraw the two affidavits, including the related attachments, so as to go and regroup and file afresh. On the premise that the Industrial Court is a court of equity, Justice Molomo granted the Okaile camp leave to withdraw the affidavits, but instructed them to have regularized their affidavits for re-filing on July 8 this year. Effectively, this means that if the BPL board still wants to proceed with disciplinary action against Mamelodi, it has to again seek authority from the BFA NEC which also has to meet and resolve to endorse any such decision by the league board to take action against the CEO. CHRONOLOGY: On March 26, Okaile suspended the premier league CEO by phone and on March 29 the CEO was served with a suspension letter by a deputy sheriff. He was accused for misappropriating funds that amounted to over P6 million among other transgressions. On April 25, the suspended CEO filed an application with the High Court to declare his suspension unlawful. On May 9 however, the BPL Board chairperson Okaile summoned the CEO for a disciplinary hearing where he was slapped with about seven charges. The hearing was set for May 12 but on that day, Mamelodi’s lawyers interdicted the hearing at the Industrial Court and the matter was set for this past Monday for the opposing parties to present their arguments. It was then that the affidavits deposed by Okaile and the Delegation of Authority signed by Sebego were deemed to be fallacious. In the meantime, the order that Okaile cannot call Mamelodi for a disciplinary hearing still stands, but Mamelodi continues to enjoy his salary without doing a thing for the league as he remains suspended. The matter resumes for hearing on August 23.